pydictor is a powerful and useful hacker dictionary builder for a brute-force attack. Why I need to use pydictor ? You can use pydictor to generate a general blast wordlist, a custom wordlist based on Web content, a social engineering wordlist, and so on. 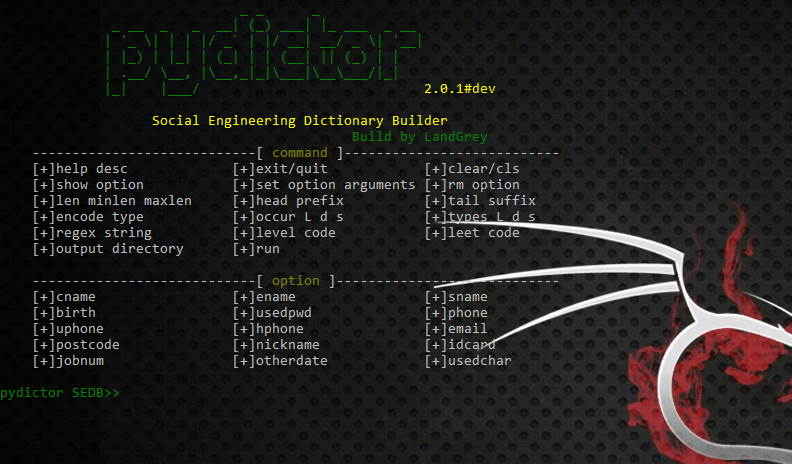 You can use the pydictor built-in tool to safe delete, merge, unique, merge and unique, count word frequency to filter the wordlist, besides, you also can specify your wordlist and use '-tool handler' to filter your wordlist. You can generate highly customized and complex wordlist by modify multiple configuration files, add your own dictionary, using leet mode, filter by length、char occur times、types of different char、regex, even customized own encryption function by modify /lib/fun/encode.py test_encode function. 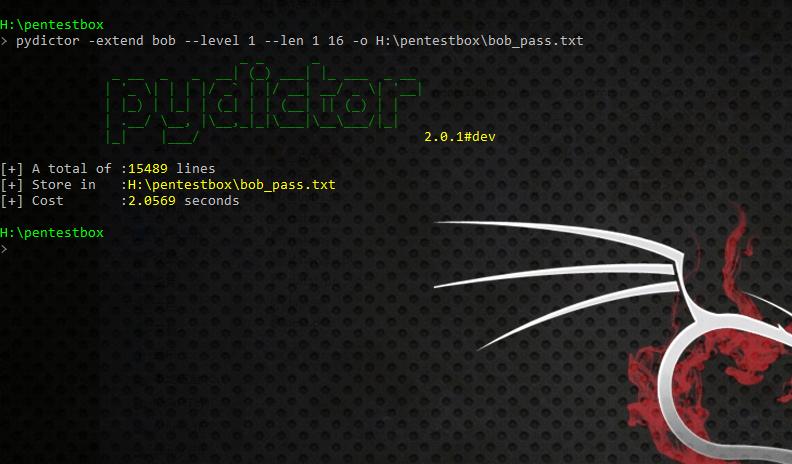 its very relevant to generate good or bad password wordlist with your customized rules and skilled use of pydictor. nothing to say,skilled use and you will love it. whether you are using Python 2.7 version or Python 3.x version , pydictor can be run on Windows, Linux or Mac. passcraper plug will generate two wordlist，preffix with SCRATCH is raw wordlist by website plain text， and if you feel that there are a lot of unrelated words in the SCRATCH wordlist, you can remove them, and then use the extend function to specify the new file to generate dictionary again. Its meaning build a dictionary that  prefix is "a" , character set is 0—9, don't encode,length range is 4—6 and  suffix is "_"